We’ve all heard the saying “less is more”; I don’t live by it, but sometimes it works for certain styles. Color blocking is one of the most captivating trends in fashion everywhere! 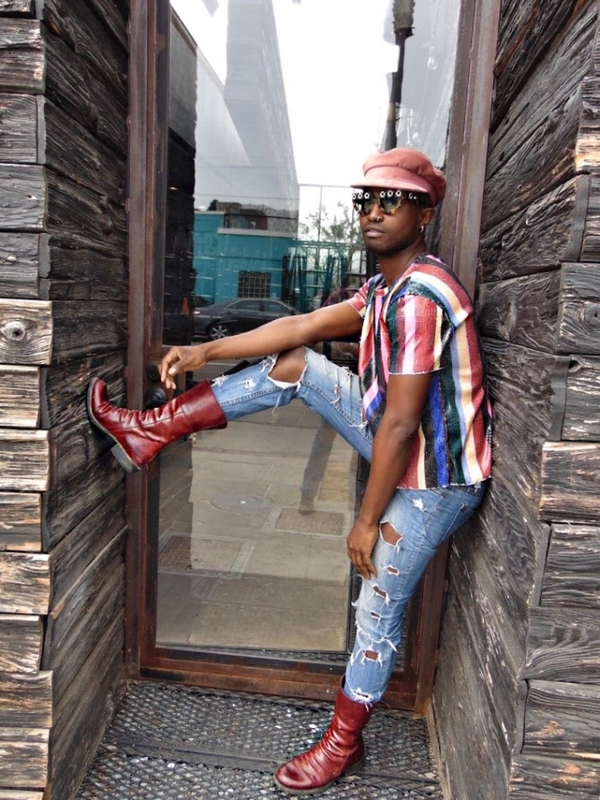 There are no rules when creating a look such as the one I am rocking here, but I strongly emphasize the importance of balance when mixing a multi-colored look. Being that this sequence top has an army of colors, I went with ripped denim jeans to balance the look out. I pulled some of the colors out of the top by pairing, a blush tall crown cut cap and wine medium high boots. Without adding these two accessories, this outfit would look flat and unbalanced. If you can see yourself rocking this style, adopt my tricks and create a look of your own!